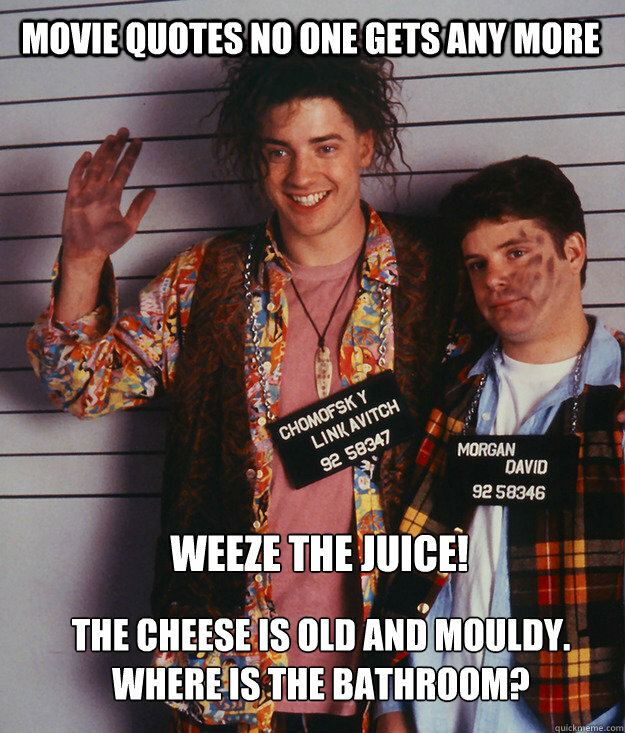 movie quotes no one gets any more Weeze the juice! The cheese is old and mouldy. Where is the bathroom?